Find Mead, CO Homes for sale. View Photos, Maps and MLS Data Now! Third bedroom on main floor could be office with windowed french doors. MLS#1836679. Berkshire Hathaway HomeServices Rocky Mountain, RE. Buyer to verify measurements, schools, and HOA MLS#8644324. RE/MAX Momentum. Liberty Ranch - Offers Responded To As Received Thereafter.Quick Possession. MLS#4099181. ERA TRADEWIND REAL ESTATE. Open floor plan with vaulted ceilings! MLS#7325211. Sarah Pfauth. A must see! Buyer to verify all. MLS#7986350. HomeSmart Realty Group of Colorado. New S/S appliances, high efficiency water heater (2018), roof (2018), exterior paint (2017) and full unfinished basement for future expansion along with the potential for a quick close make this beauty move in ready! 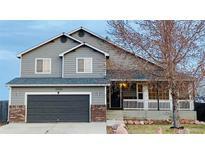 MLS#3225326. Coldwell Banker Residential 30. Vale View - Prof landscaped yard with mature trees, quiet and serene setting surrounding by miles of walking paths. MLS#5564596. EXIT Realty Cherry Creek. The exterior is equally impressive with a large deck and patio with mountain views - perfect for relaxing or entertaining! This one won't disappoint. MLS#5312205. RE/MAX Momentum. 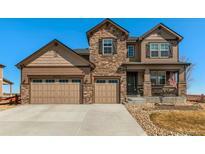 Gas fireplace, vaulted ceilings, 5-piece master bath, Central A/C. MLS#5737407. Remax Nexus. No Metro District so lower taxes! Can Close Quickly! MLS#9889278. RE/MAX ALLIANCE. Vale View - Recent updates include, new tile roof, windows & granite. MLS#8145899. Madison & Company Properties. 3 car finished garage and full basement ready for your special designs. MLS#4534263. Harmony Brokers. Margil Farms - Buyer to verify room measurements and sq ft and schools. MLS#4275608. THE TC GROUP. Have your own peace of mind to come home to every night! MLS#6062568. KELLER WILLIAMS REALTY NORTHERN COLORADO. Grand View Estates - More: Central vacuum, water filter, back-up generator. MLS#8299624. Kittle Real Estate. Come see the views from the loft, master and ensuite for yourself! MLS#6093713. eXp Realty, LLC. Large trex deck to enjoy the serenity. MLS#6579645. RE/MAX TRADITIONS. Water to both shops. Quality throughout this home. MLS#8872752. WINDEMERE REALTY. Ask agent for data sheet in Documents. MLS#5793194. RE MAX TOWN AND COUNTRY.